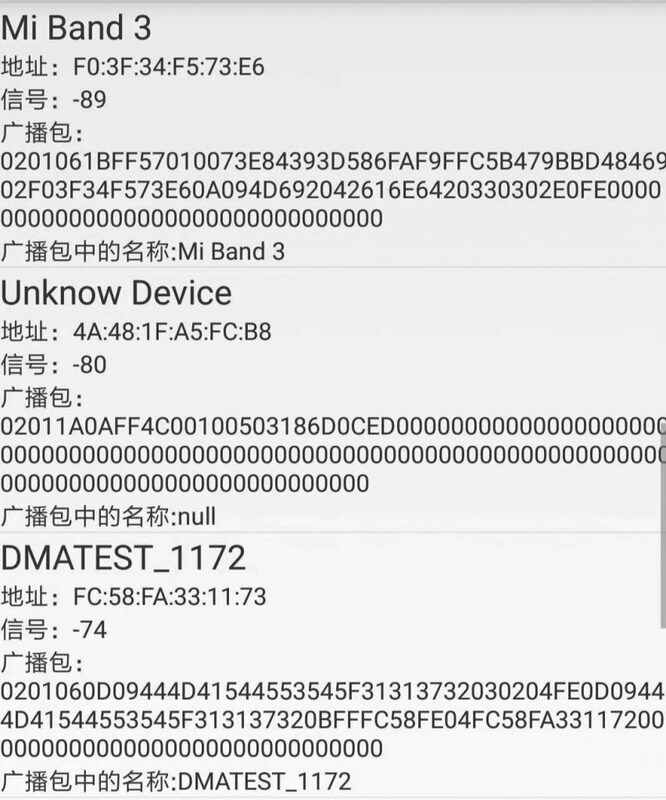 32 bit UUID 列表： TYPE = 0x?? int getAdvertisingSid() Returns the advertising set id. 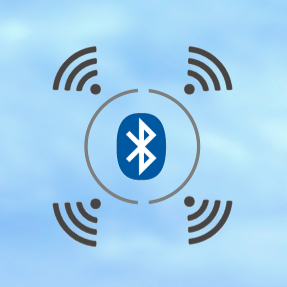 BluetoothDevice getDevice() Returns the remote Bluetooth device identified by the Bluetooth device address. int getPeriodicAdvertisingInterval() Returns the periodic advertising interval in units of 1.25ms. int getRssi() Returns the received signal strength in dBm. 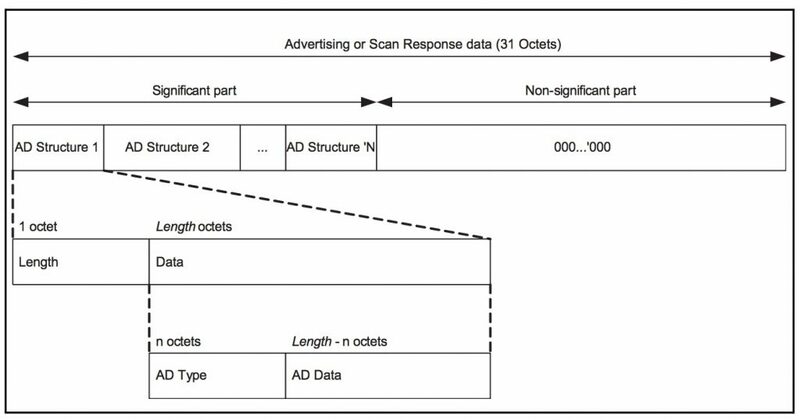 ScanRecord getScanRecord() Returns the scan record, which is a combination of advertisement and scan response. int getAdvertiseFlags() Returns the advertising flags indicating the discoverable mode and capability of the device. byte getBytes() Returns raw bytes of scan record. String getDeviceName() Returns the local name of the BLE device. SparseArray<byte> getManufacturerSpecificData() Returns a sparse array of manufacturer identifier and its corresponding manufacturer specific data. byte getManufacturerSpecificData(int manufacturerId) Returns the manufacturer specific data associated with the manufacturer id. byte getServiceData(ParcelUuid serviceDataUuid) Returns the service data byte array associated with the serviceUuid. 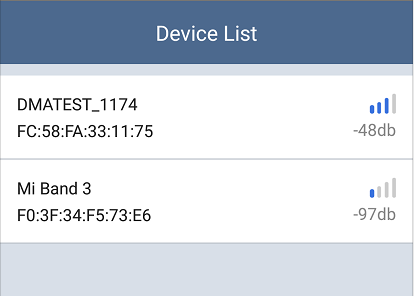 List&lg;ParcelUuid&gt； getServiceUuids() Returns a list of service UUIDs within the advertisement that are used to identify the bluetooth GATT services.